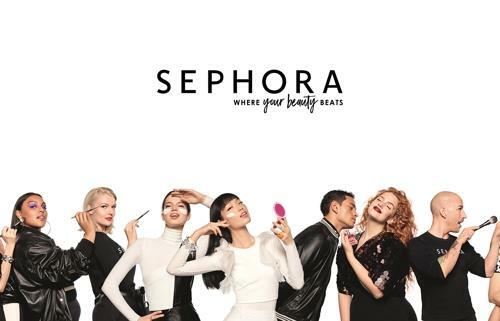 SEOUL, April 15 (Yonhap) -- Sephora will open its first outlet in South Korea in October amid a growing interest in multi-brand beauty shops here, a local unit of the global beauty chain said Monday. Spread across 547 square feet, the store will be located at Parnas Mall in the posh district of Gangnam in southern Seoul, featuring hundreds of cosmetics, skincare, body and fragrance brands, along with its own private label, Sephora Korea said. The store will officially open its doors Oct. 24. "Sephora will contribute to expanding the local beauty market by proposing a new standard," Kim Dong-ju, CEO of Sephora Korea, said in a press release. Sephora plans to open six local stores and an official online store by 2020, as well as 13 additional stores by 2022, the company said. Sephora, part of the French luxury goods conglomerate LVMH, has nearly 3,000 stores worldwide. The beauty conglomerate has expanded aggressively in Asia, opening stores in Singapore, Thailand and India. South Korean consumers have in recent years have shown interest in beauty shops that house international beauty brands. Local retail giant Shinsegae launched its first beauty multi-shop Chicor at one of its department stores in December 2016. The company currently has 22 such stores across the country, with the flagship store located in Gangnam. Market leader Olive Young, run by retail conglomerate CJ Group, has 1,100 outlets across the country, featuring hundreds of budget and mid-range beauty and lifestyle products.